The men in my life are addicted to game apps. Whenever we go anywhere, you often find my boys happily playing away on their tablets while my husband plays Candy Crush on his phone. Most of the time I am happy that they are all preoccupied, especially when I am shopping and don’t want them harassing me and asking me if I am finished yet. Other times, I ask them to turn off all of their electronic devices so we could enjoy some quality time. During these times that we turn off and shut down, one of the easiest ways to keep their attention is to bribe them with delicious sweets or treats. We don’t often eat candy or other sugary things but, once in a while, I do like to let them all indulge. 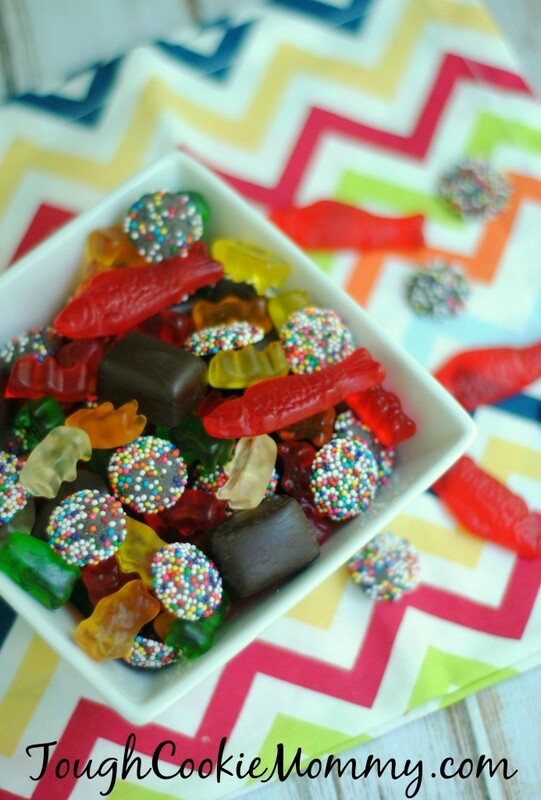 After all, eating some candy from time to time is something we all relished in when we were kids. My husband never actually outgrew this stage and he is always trying to sneak sweets, even when the kids are not around! **Have a Dollar Store near you? The candy bags are only $1 each and the perfect place to stock up! Combine all the ingredients and let the kids go to town! Perfect for all you Candy Crush addicts! Let’s Discuss: What are some of the special treats that you like to enjoy with your family when you are spending time together? That would be awesome to put out on the tables at my boys joint birthday party next month. It sounds like it would be a big hit. Although I prefer Bejeweled I do play Candy Crush on occasion–I’m just not that good at it! I would be VERY good at eating up the candy mix you have in that bowl!! The Candy Crash bowl is a fun (and simple) idea for a party as well! As of late, I’m targeting the healthier special treats for family. We all have a sweet tooth and could eat a bowl of yummies each! What a great treat. I will make this for my next party. What a great idea! I don’t play Candy Crush but I’d rather eat that Candy Soda Crush Mix any day! Oh my all my favorites in one bowl of deliciousness. I never thought to put these together! Would be a great birthday game to let the kids play on the phones with the apps while they ate the snacks. A very cleaver idea to use candy for candy crush didn’t realize people were still playing that game. My dad loves that game, he plays it on his phone all the time. I should make this for him for his birthday. Your picture is fantastic! 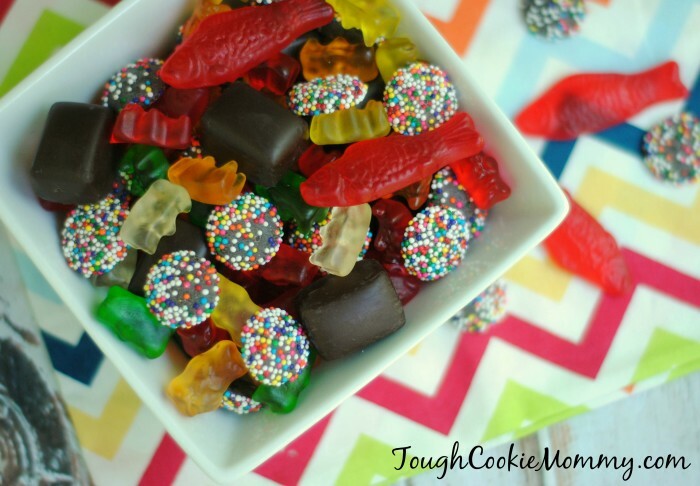 What a great idea to make the Candy Crush candies! This will be a hot at every party. That sure is pretty! And it’s nice that it’s affordable, too! I sure do miss eating candies like this. When I have a sweet snack, I have a prune, date or some kind of fruit. This is a super fun treat! My mother in law loves candy crush… maybe we should have a themed bday for her 70th! How cute! And I think we have all of these candies already. Thanks for the post! I’m the one with the sweetest tooth in my household so I tend to get myself a treat or two. My daughters bake cookies, now and again, and we all enjoy cake on special occasions. That is such a cute idea and it does look good, too! I got a chuckle that the candy crush app is a good way to keep them occupied so you can have fun shopping!!! This is a really cute idea for any game lover! It’s the perfect movie snack as well. It looks delicious and simple to make, but I do need to get a lot of ingredients. Looks really good and I am sure the kids would like it a lot!